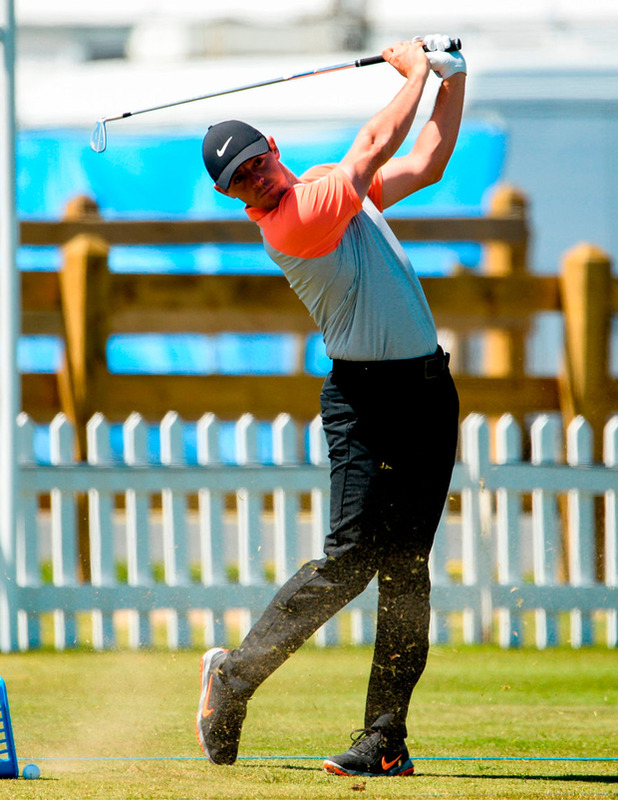 Gavin Moynihan is treating the $7million Dubai Duty Free Irish Open as a mid-season bonus after enduring a nightmare start to his rookie season. The Malahide star (23) made his first cut for eight months in the SSE Scottish Hydro Challenge just two weeks ago after failing to make a cheque in 13 starts on all tours since he won his card at the Q-School last November. Barring a massive result in Ballyliffin this week - he'd need a top-seven finish just to break into the top 100 in the Race to Dubai - he's decided to concentrate on the Challenge Tour for the rest of the season. But after picking up €84,505 after a final-round 64 gave him a share of 14th behind John Rahm at Portstewart last year, he's not ruling out another lucrative Irish Open week on links terrain. Thrilled to get a last-minute sponsor's invitation just last Friday, Moynihan said: "The ideal situation is to win, obviously, but I am just delighted to be here, so it's all a bonus. "Like last year, I am just going to try and enjoy it and do as well as I can. To be honest, I'd given up all hope of getting in until I got the call on Friday, so it's a big bonus just to be here." Moynihan earned €100,000 when he teamed up with Paul Dunne to win the innovative GolfSixes event in London in May. But while that was an unofficial event that didn't count on the money list, he sees no reason why he can't give his confidence, and his bank balance, another boost in Ballyliffin this week, where he will be joined by fellow Team Ireland Golf grant recipients Cormac Sharvin, Ruaidhri McGee and Neil O'Briain. He said: "I played Portmarnock yesterday and The Island for the last two days so I know what to expect as they are the firmest two courses in Ireland right now. "My caddie said they are watering the course here and it is greener than he thought, but with the good players that are here, the scores will be good, no matter how firm it is." As for his form, he insisted he was confident it would come around sooner or later, confessing: "There hasn't been much wrong - just one bad hole in every event was killing me. "So I took two weeks off for my head more than anything because I knew a good event was coming and thankfully it came in Scotland." Moynihan's problem was that he was forced to hit the road straight after winning his tour card last year and never got a chance to rest. "You know you want and need a break but when you get those early-season starts, you just have to play," he said, referring to long-distance trips to Mauritius and South Africa straight after Q-School. "If you play well at the start of the year, you can stick with the main tour but if not, you have to look to the Challenge Tour and that's what I'm doing now." Moynihan was one of 12 Team Ireland golfers to receive a total of €200,000 in funding from Sport Ireland this year. Des Smyth spearheaded a fundraising pro-am that generated an extra €45,000 for Ireland's up-and-coming stars last year and the Drogheda great was on hand to help raise a similar sum from yesterday's Team Ireland Golf Pro-Am at The K Club. Smyth was joined by former Ryder Cup stars Paul McGinley, Eamonn Darcy, Ronan Rafferty and Philip Walton as well as last year's winning professional Damien McGrane, and managed to lead home the winning team this year.